Since I’ve been filming new TV shows in Bulgaria and Romania, people have been asking if I plan to start running tours or writing guidebooks to this underappreciated corner of Europe. We do have a Bulgaria tour, but currently, we don’t have plans to produce more on these two countries. However, during our filming, we enjoyed the support of several wonderful guides I’d heartily recommend. Guiding in these countries is inexpensive and — particularly since most travelers are steep on the learning curve here — particularly helpful. Hiring these guides is an exceptional value that adds understanding and enjoyment to any trip. 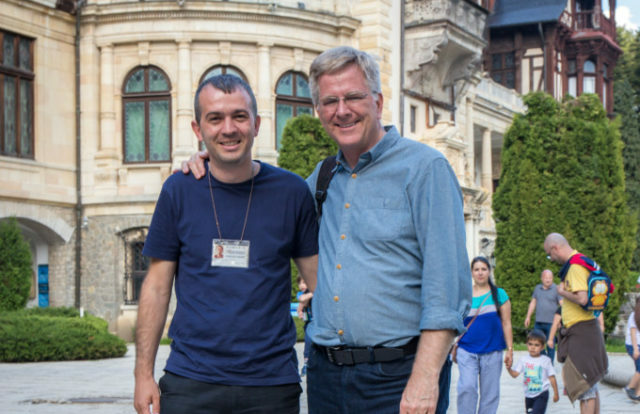 Throughout Bulgaria, our guide and on-screen sidekick was Stefan Bozadzhiev of Lyuba Tours. 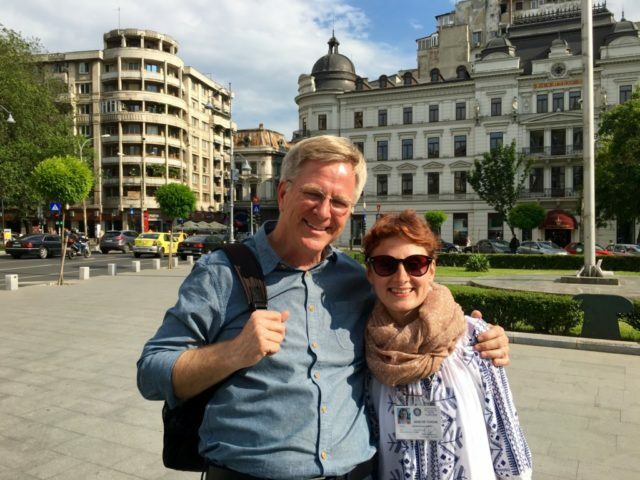 Exceptionally knowledgeable, well-connected, and simply fun to travel with, Stefan manages and guides our Rick Steves Best of Bulgaria in 12 Days Tour. This may be the most underrated of our 40-plus tour itineraries — and if you have a couple of weeks to spend in Bulgaria, this tour is definitely your best bet. But for a shorter or independent visit, see if Stefan or one of his colleagues is available to guide you: lyubatours.com, lyuba.tours@gmail.com. In Romania, we worked with different guides in each part of the country. I’d recommend each one for their area of specialty, but most of them also cover the rest of Romania as well. In Bucharest, two equally great guides are Dan Nica (tourguidesromania.com, dsnica@gmail.com) and Ana Adamoae (guidedtoursbucharest.wordpress.com, aadamoae@gmail.com). Both offer insightful tours that make it easier to appreciate Romania’s bustling and intimidating capital. 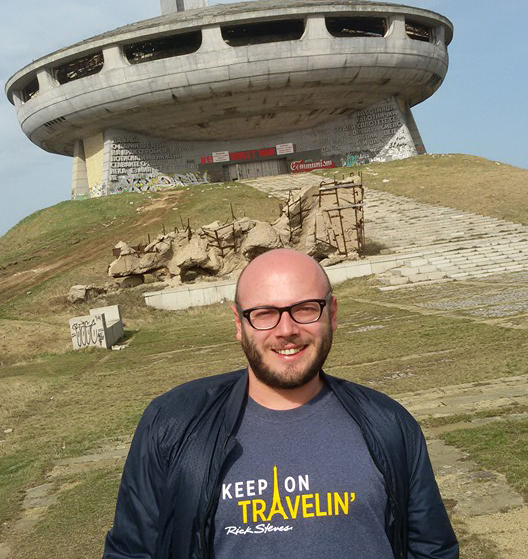 For Transylvania, we worked with Daniel Gheorghiţă, who runs Covinnus Travel (covinnus.com, office@covinnus.com). Daniel was knowledgeable, with a sharp sense of humor and a knack for understanding — and putting us in touch with — exactly the experiences we were seeking. 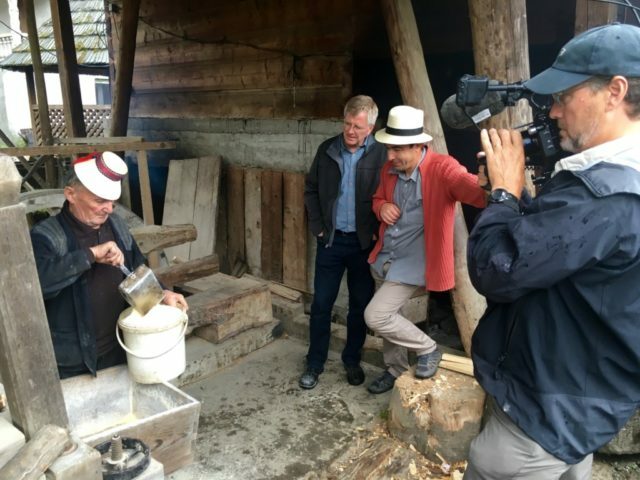 In Maramureș, at the rustic and remote fringe of Romania, a guide is particularly helpful for navigating the extremely traditional culture — which comes with a big language barrier and plenty of cultural treasures that demand insightful explanation. Teo Ivanciuc was our man in Maramureș (www.maramurestour.com, teofilivanciuc@yahoo.com). Teo was supremely knowledgeable, tireless in helping us sniff out meaningful experiences, and a passionate ambassador for his home region. Unfortunately, we did not have time to include the famous painted monasteries in Bucovina in our new show. However, through our scouting we met Ciprian Slemco, who runs Hello Bucovina (hellobucovina.com, contact@hellobucovina.com). If you’re headed to Bucovina, Ciprian (“Chip” for short) helps bring the precious folk art to life. 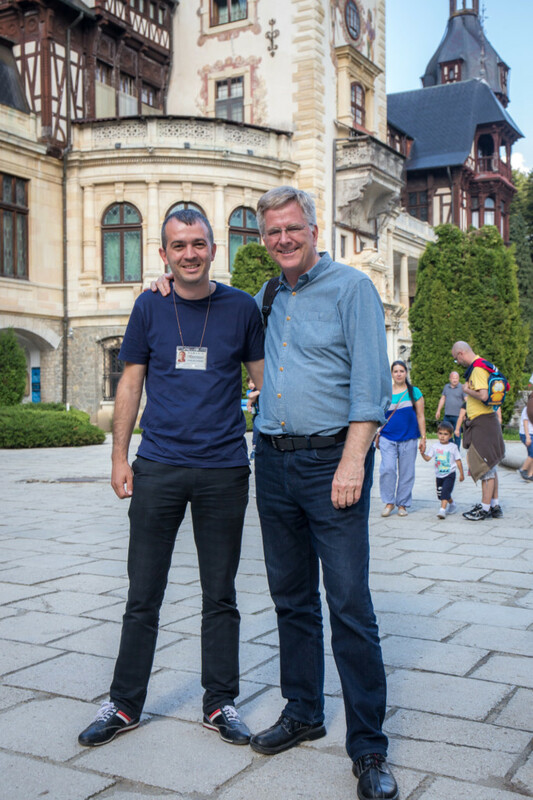 Rick – had a wonderful guide in Bulgaria that you would like also – reminded me of a more gentle Mert! His name is Kamen Metzer; he works for Road Scholar but also free lances. Thought you might want to check him out! 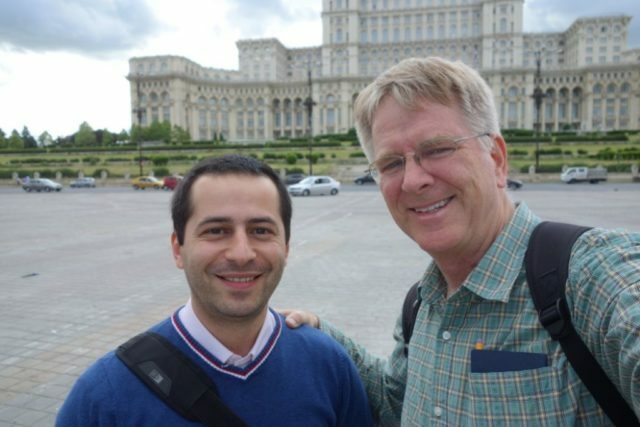 We have used Romanian guide Serban Capatana twice. The first time we visited Transylvania. The second time Transylvania, Bucovina and Maramures. He is a great guide and tailored the second tour to exactly what we wanted to see – and then some. Look him up on Google. Thank you for your book recommendations. I enjoy your show immensely and am going on one of your tours in July. Thank you for bringing the world of travel to our homes and through your guide books and DVD’S.